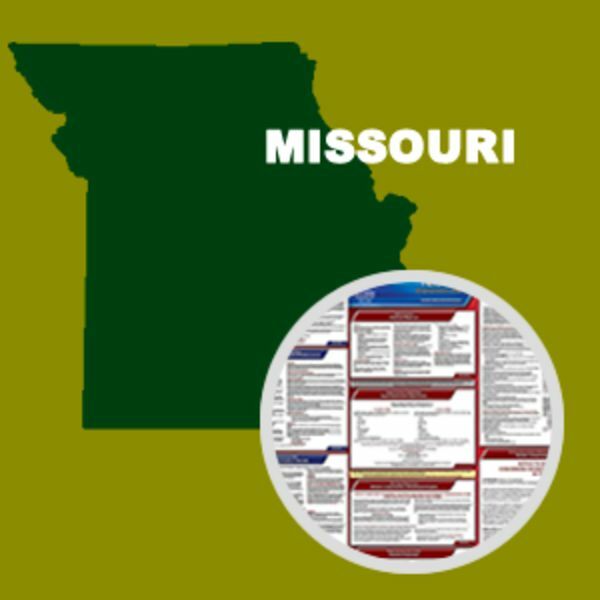 The Missouri Division of Labor Standards has made a mandatory a change to its Minimum Wage poster to show the 2018 rate of $7.85 per hour. The updated poster also includes the tipped employee minimum wage of $3.925 per hour. In addition, explanations relating to overtime compensation, exceptions to the minimum wage, and employee rights have been simplified. Sections on recordkeeping and penalties have been removed. 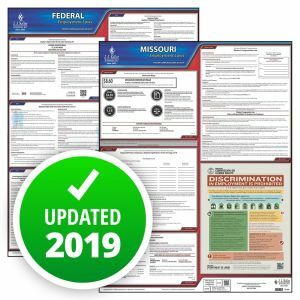 Potential Discrimination posting change: We are checking with the state to see if a second mandatory change will be coming for Missouri. The state’s Human Rights Act was modified by Senate Bill 43, effective August 28, 2017. It is possible that this law will bring a change to the Discrimination posting. If a mandatory change is made, we will include both the Minimum Wage and Discrimination poster revisions in the same poster update. This State and Federal Poster Set includes one (1) Missouri Poster and one (1) Federal Labor Law poster.